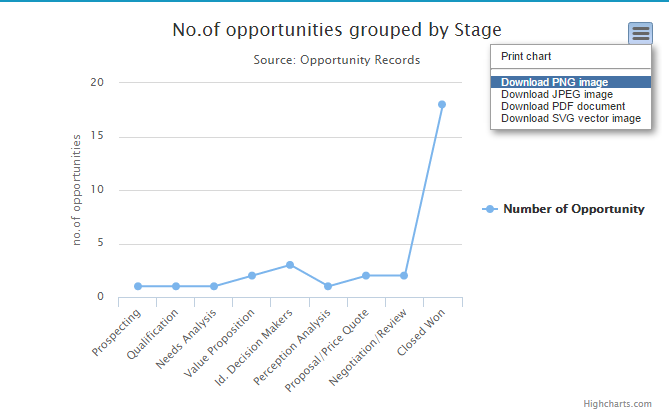 We can use interactive charts provided by HighCharts in Visualforce page. Here I am going to display line chart using highCharts. For example, we will display the count of opportunity group by stage. HighCharts gives option to download chart in PNG, JPEG, PDF and SVG vector image.